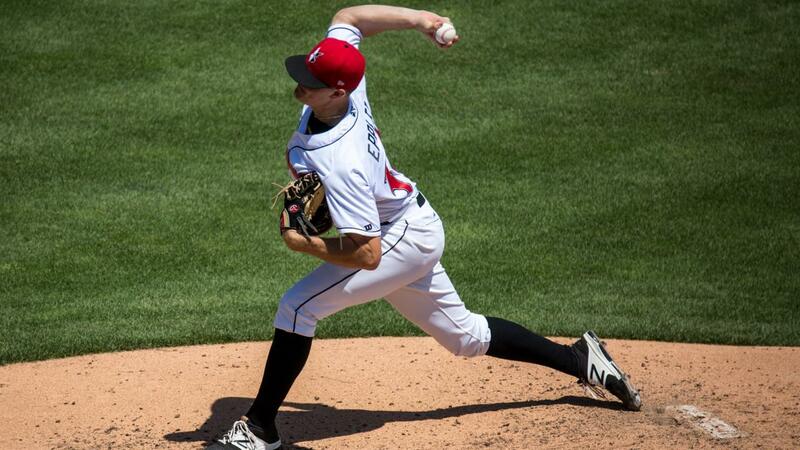 INDIANAPOLIS - Tyler Eppler's numbers at Victory Field speak for themselves - in 27 career games (23 starts) at The Vic spanning the 2017-18 seasons, the right-hander went an absurd 14-1 with a 2.73 ERA. His home-field dominance was on full display May 24 this year against Louisville, an outing where he fanned nine batters over 6.0 sparkling frames. On Indy's last of four Baseball in Education games, Eppler put on a pitching clinic in front of nearly 11,000 fans. The Texas native bookended the top of the first with strikeouts against Phillip Ervin and Rosell Herrera. After opening the second with a swinging strikeout of D.J. Peterson, Eppler pitched around an infield single by inducing an around-the-horn, 5-4-3 double play off the bat of Gabby Guerrero. That momentum carried into the home half of the second, where the Indians scored three times off Eppler's counterpart, Zach Neal. Eppler contributed to the rally with a sacrifice bunt before returning to the mound and tossing 1-2-3 frames in the third, fourth and fifth. His final inning started with strikeout No. 8, and he benefitted from a Jordan Luplow outfield assist that retired Chad Tromp trying to stretch a single into a double. Hernan Iribarren and Ervin recorded singles of their own after Tromp's base hit, but Eppler struck out Blake Trahan for a second time to cap his outing. The quality start was Eppler's third of a team-high 11 on the season.